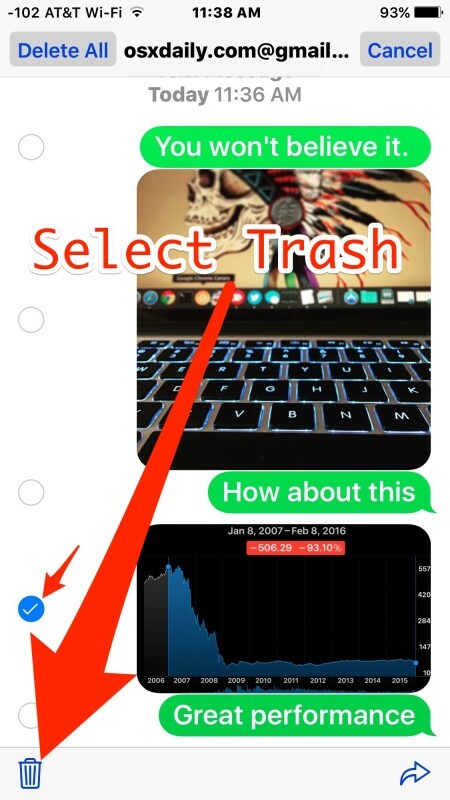 Want to delete a photo from a message on iPhone or iPad, but without removing an entire message conversation in iOS? With the trick we will show you, you can selectively delete a single picture or video from the Messages app in iOS, without interfering with the rest of the conversation or with the other texts, pictures, or movies. This is perfect for deleting a single embarrassing or private picture while keeping the other messages in tact, but keep in mind it only removes the image from your iOS device and not the recipients. 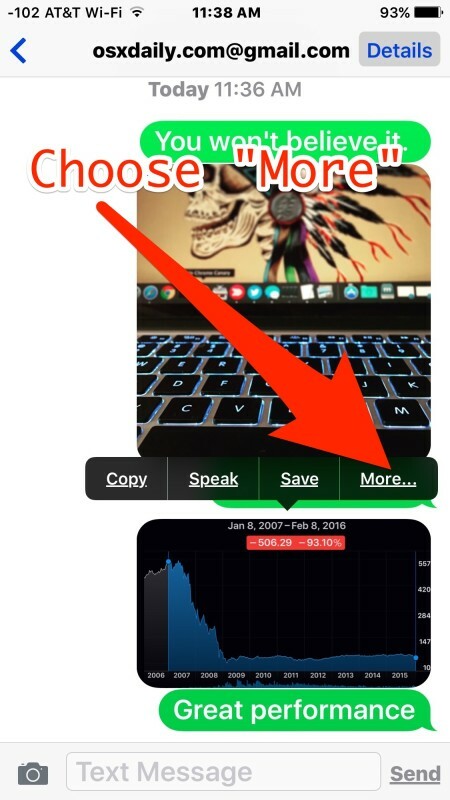 Going further, you can use a various of this tip to delete multiple pictures or videos from a message conversation as well, and it’s quite easy to use. 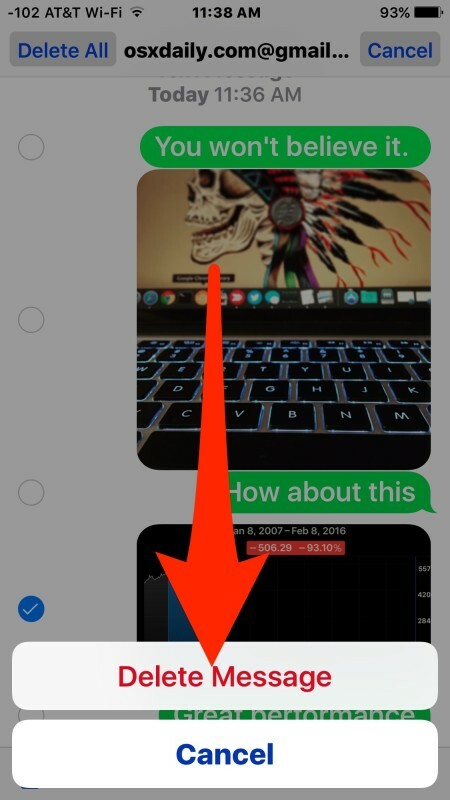 Read along to learn how to remove a photo or movie from Messages in iOS. The picture or video is instantly removed and is no longer a part of the message thread, while the rest of the text portions of messages are maintained, and the pictures or videos that weren’t selected are also preserved. Do keep in mind this is permanent. The only way to potentially recover deleted pictures and videos from Messages is by restoring the iPhone, iPad, or iPod touch from a recent backup, which are date dependent. Selecting individual pictures and videos to remove is great for getting rid of a single attachment that is private, inappropriate, or even just taking up too much space. Another approach is to delete an entire message conversation, but that’s obviously much less specific and will remove every bit of dialog in Messages app between the sender and recipient. If you find yourself deleting many pictures and videos from Messages individually because you’re running out of storage space on an iPhone or iPad, another option is to use this feature for deleting old messages automatically, which will sweep through and automatically remove all messages that are from a set past date. In fact, videos will automatically remove themselves from Messages as well, specifically to preserve storage on iOS devices. Those features are sort of like automated housekeeping functions for messages app and is valuable if you find the threads to be cluttering up storage on an iOS device, but not everyone likes the automatic removal and many prefer to manually intervene to remove images and movies themselves instead. Use whichever method is right for you, just remember that once you delete a message, or remove a picture or video from a message, there is no turning back! – Touch and hold an attachment, select ‘More’ and mark the attachments you want to delete or archive. Click Archive or the trash icon. You can also do this with any other message but is there a way to delete it off their screen too pr only just yours? 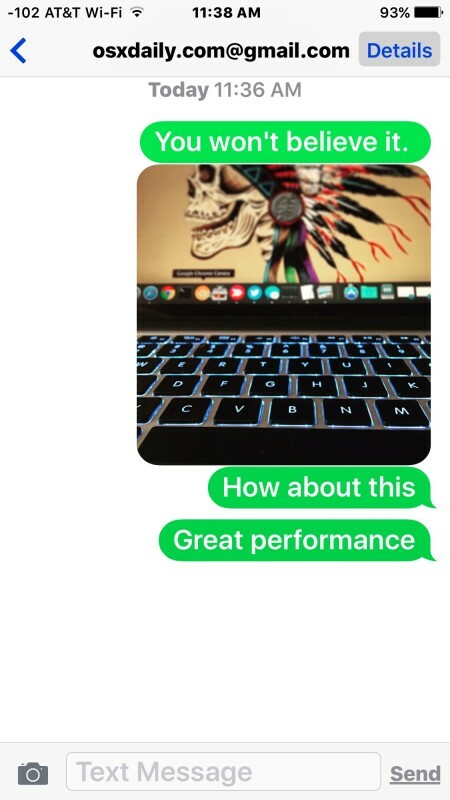 This technique works for text-texts, but it doesn’t for photos. When I “tap” or “press” the photo, it just enlarges the photo–I never get the pop up menu. I have tried it 20+ times with different pressures for each “tap.” For all Apple’s cache, they just can’t make basic things easy. iPhone 6s…this doesn’t work (thus why I’m googling trying to find an answer). 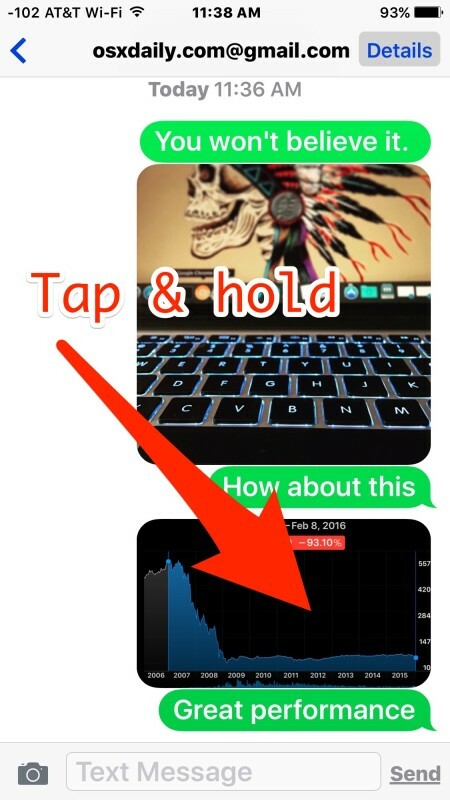 So it deletes it initially…but once you kill the app, then go back into it to view the message thread…the photo magically appears again. WTF. Why is it not working??? Wanted share private in Skype or with e–Mail ?